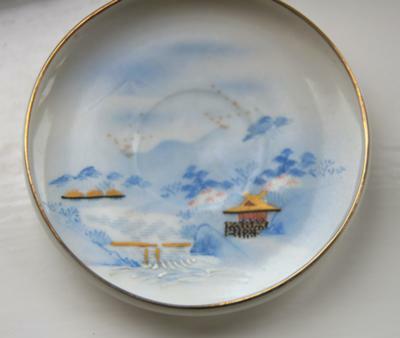 My Aunt has recently pas away and left two chinese porcelain tea sets which I am lead to beleive have been in the family a very long time, I would like to know a little more about them as most of the information has been lost. 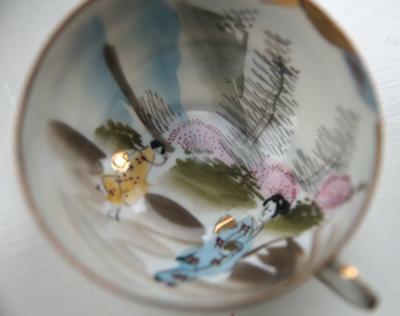 These items are Japanese porcelain. 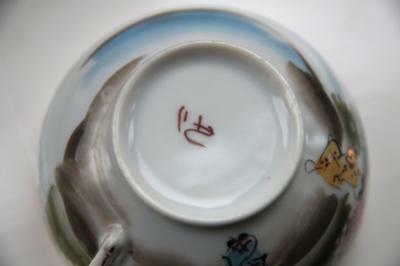 The marks appear to be shop or artisan's names. 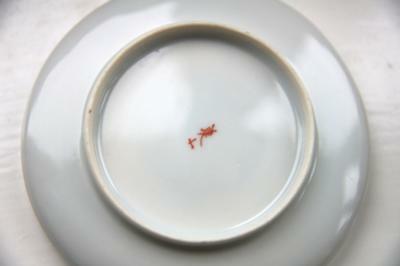 As I don't know much about Japanese porcelain, I cannot tell you the age or by which kilns these would have been fired.